HARRISBURG, Pa. - Attorneys for someone claiming to have been molested by a former Penn State assistant football coach have settled a lawsuit aimed at keeping solvent a charity the coach founded. 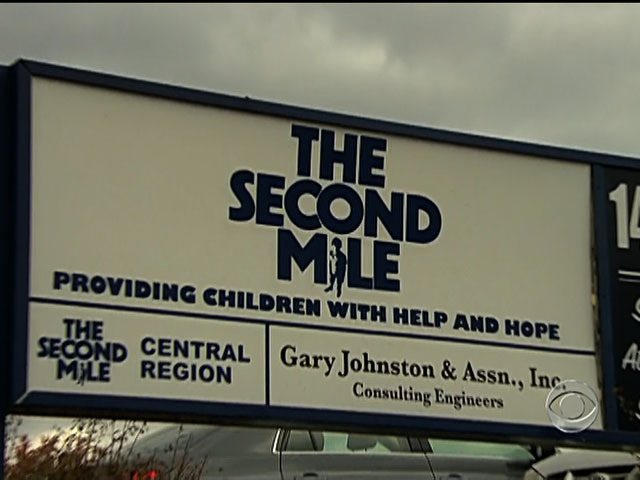 Harrisburg lawyers Ben Andreozzi and Jeffrey Fritz sued to prevent The Second Mile charity from dissolving or transferring its assets. They announced the settlement Thursday. They say the charity must obtain court approval before transferring assets or closing. They say the settlement protects the rights of their client to the charity's assets and lets its day-to-day operations continue. Sandusky founded the charity in 1977. He told its board in 2008 he was being investigated. The charity says it subsequently barred him from activities involving children. He denies molesting boys. The charity says the agreement does not include a finding of liability.